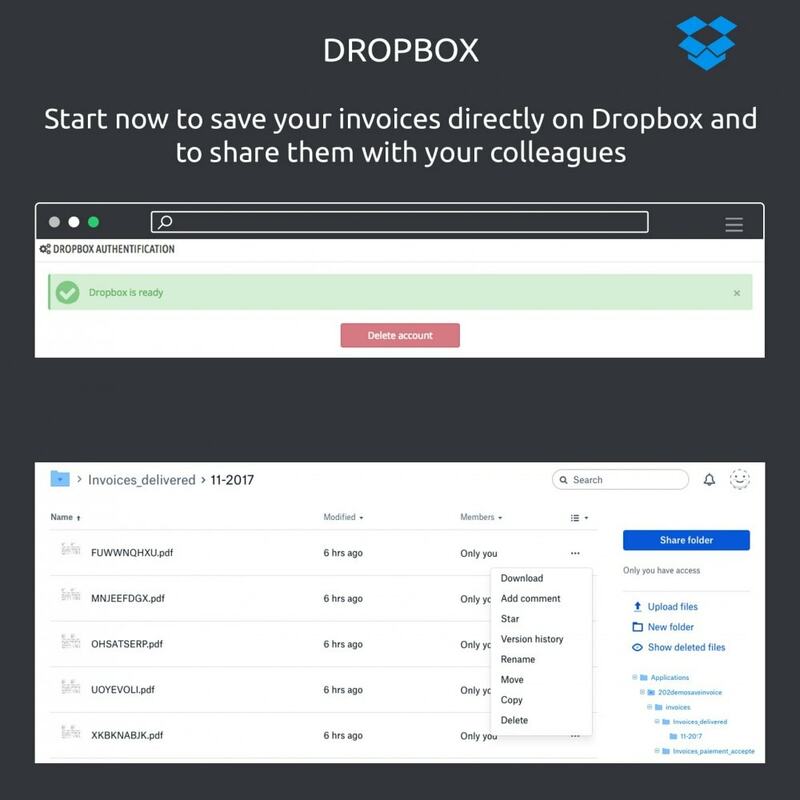 This module allows you to save invoices on Dropbox, Google Drive or locally (on ftp) and to access to them any time you want. 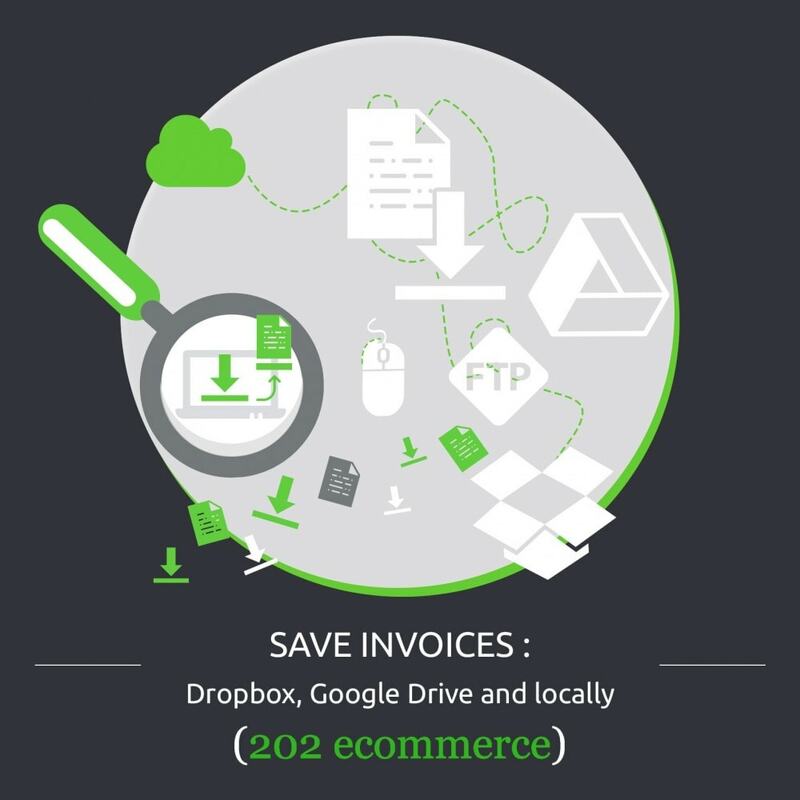 You can also share access to your invoices with your colleagues or accountant. 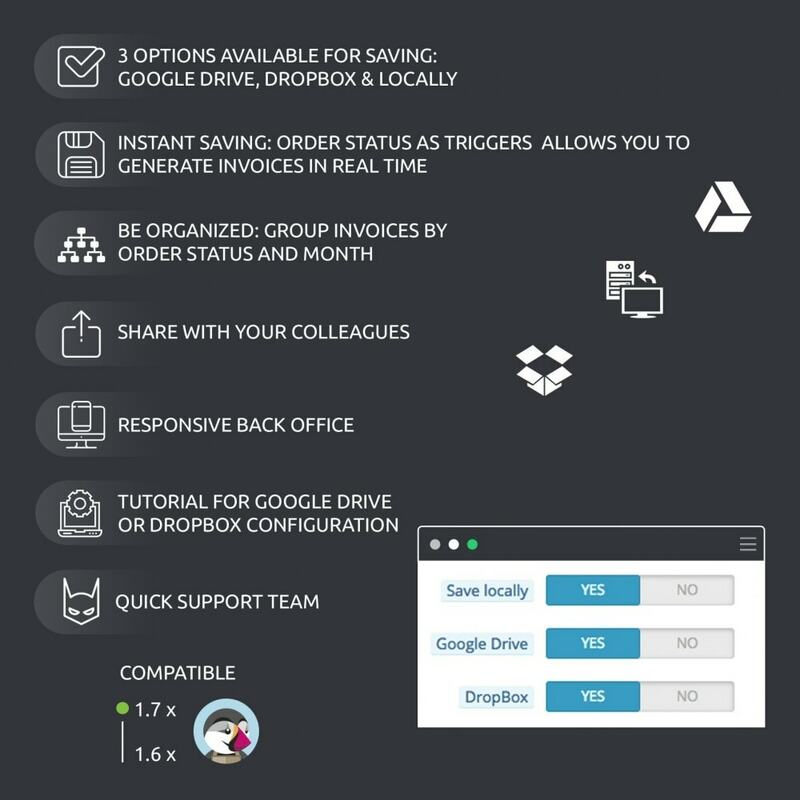 Google Drive or DropBox configuration is really simple and fast (about 5-10 minutes) : you can follow our tutorial explaining every step of configuration and you can contact us if you have any question. 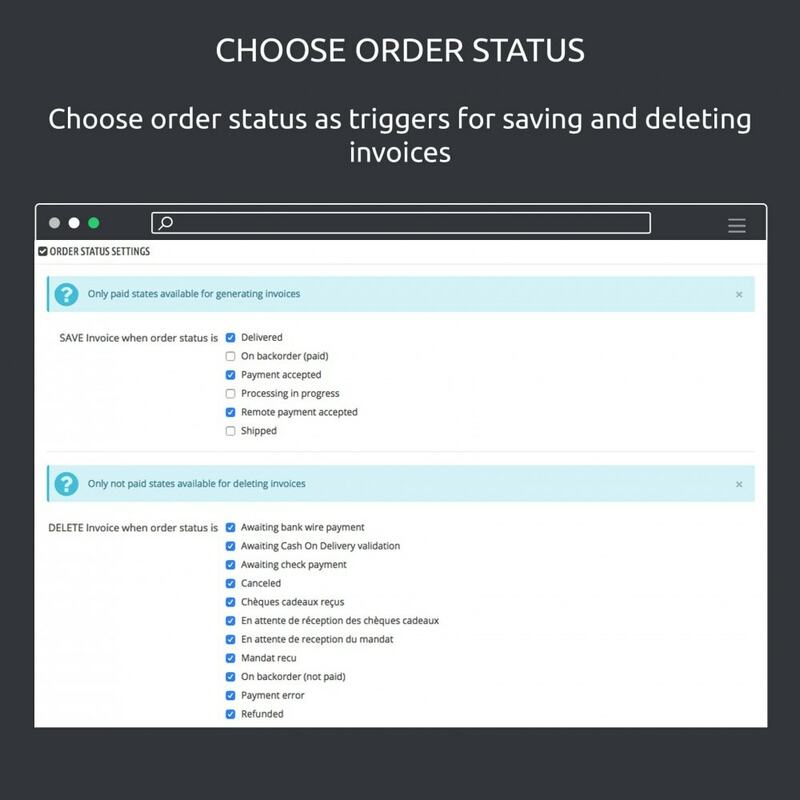 You can create new orders for changing its status or change status of existing orders. 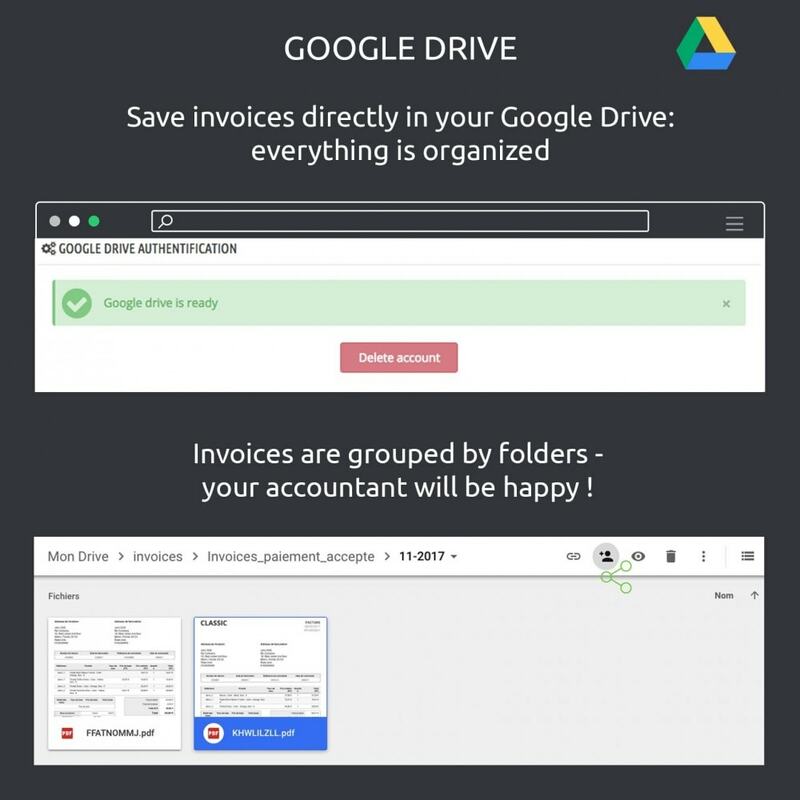 Google Drive : just open google drive and go directly to "invoices" folder. You can follow steps in our tutorial for creating your Google Drive API and DropBox project applications and configuring the module. Pay attention that module is not retroactive for the moment (you can save only new invoices). Do not hesitate to contact us if you have an idea of module improvement (fox example, save delivery slips etc).